Boyne Mountain Resort announced late last week that it will be requiring all employees working on its mountains to wear a helmet while on duty. This is a really important step forward in mountain safety that should be commended. It should also be a model for other resorts to follow—especially some of the bigger companies that operate multiple resorts and employee hundreds and even thousands of people. 1) Helmets are effective in saving lives and preventing injury. 2) The ski industry has promoted helmet use. Despite the wide adoption of helmets in skiing, its always puzzled me that the industry never required on-snow employees to wear them. This was especially true for ski patrol and ski instructors. 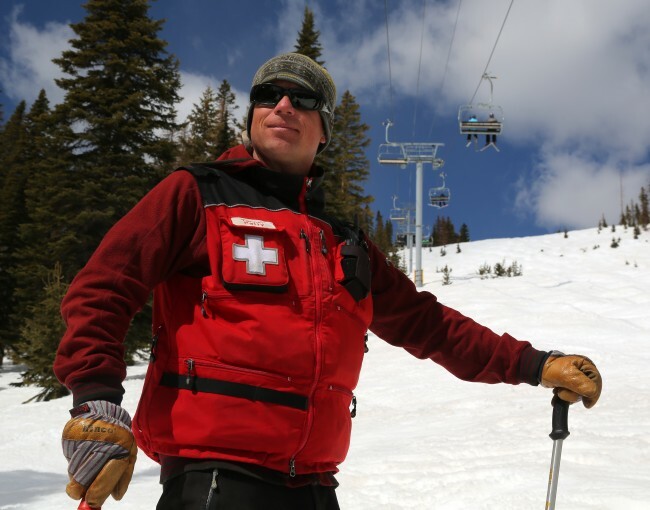 Year after year, I frequently see ski patrollers all over the mountain without helmets. A simple good images search brings up dozens of photos patrollers patrolling the mountain without helmets. Not only are these employees supposed to be ambassadors for mountain safety, they also have some of the highest exposure to injury. From a simple work-site safety perspective, it doesn’t make to make personal protective equipment optional. This is akin to making hard hats optional on a construction site. The ski industry has long been criticized for failing to adopt common sense work-site safety measures. The industry has also long failed to treat the environment that its employees work in like the work-site that it is. In most other industries, the adoption and use of personal protective equipment goes without saying and its baked into the culture of job safety. Employees who work on the mountain work in a very unique environment that carries potential for exposure to a wide variety of hazardous conditions. It is nice to see some progress being made to help keep people on the mountain safe. Apparently, Boyne’s new helmet policy was a response to the tragic death of Alexander Witt. He was an employee at Boyne’s Sugarloaf who died after loosing his balance and tumbling downhill last March. He was reportedly working on a steep trail and was not wearing a helmet. He apparently suffered blunt force trauma to his head. OSHA cited Sugarloaf and issued a fine for $11,408 for serious work-site safety violations. Its hard to say if a helmet would have saved Mr. Witt’s life. However, if he’d been wearing one, he may have had a better chance of survival. Despite the tragedy that brought about this change in policy, Boyne deserves credit for leading the industry in creating a safe environment for its employees. Helmet use for on-snow employees is simple, effective and makes sense. Hopefully, Boyne’s move will lead to wider industry adoption.